Its history is a prestigious and bloody one. Nowadays, it may seem like quite a dinosaur, and it is. However, there are still those who choose to use it in competitions and those who purchase it because they are into collecting firearms. Some simply get it in order to own a part of American history. All good reasons to have an M1 Garand, in my estimation. The Garand is quite the “OG” of American firearms. Some cite the U.S. M1 Garand rifle as an amazing survival weapon, and sure, that may have been the case in WWII. In fact, it was definitely the case in WWII, at a time when most – or all – of the other forces, allied or otherwise, were still using bolt-action rifles in the battlefield (and carrying less ammo). But, it is not all it is cracked up to be online, and it may not be as functional and practical as some would claim, especially with a more modern lense. As a collector’s item and competition piece? Definitely, it has merit. But it still has nothing on today’s models. Okay, I’ve beaten on it far enough. Let’s get into the nitty-gritty. The M1 rifle was designed by John Cantius Garand, and it was introduced to the US Armed Forces in 1936. It was still used by reserves serving in ‘Nam, although it was officially taken out of front line service much earlier, before 1960. Even after it was taken out of service with the U.S., it continued to be used by other forces who were supplied with the M1 as part of ongoing weapons deals with the U.S. military. The M1 is a semi-automatic eight-round rifle which is fed from the top by a fixed magazine. 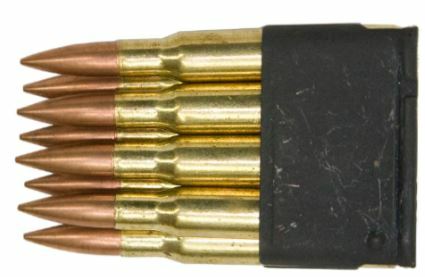 It is chambered in .30-06 and is considered to be very accurate overall. Some cite that it is good up to 1000 yards, but these claims are not battlefield-proven by any means. Even in laboratory conditions (so to speak) it would probably be difficult to get a proper 1000-yard grouping. The more accurate estimation is probably about 500-600 yards. When the final round is out, the bolt goes back and the mag is ejected. This is not optimal for battle conditions, to say the least. You don’t want to go looking for your mag when you are under fire. Again, this showcases some of this rifle’s shortcomings. But let’s be fair. Depending on the unit and mission at hand, the average GI in WWII would carry between 88 and 400 rounds. They had belts, bandoliers, and pouches for extra ammo, plus a fully-loaded rifle. And in that scenario, it is probably less of a problem when your mag jumps out and swallowed by the terrain or by advancing footsteps. You just pop in a new one and keep firing. Those who were shooting left-handed may have had times when the hot flying mag hit them on the face and broke their concentration. Not quite what you want in the middle of a firefight. Also, the M1’s bolt moves really fast, resulting in many experiencing what is commonly known as “Garand thumb”, a state where the thumb is left in the rifle after loading, and is caught when the bolt snaps back into place. Ouch. Use your palm to keep that sucker in place, and your thumb will be spared the agony as you reload. Nowadays, the original U.S. military-issue Garand rifle can be purchased primarily through the Civilian Marksmanship Program (CMP), of which we will speak of later in this post, and private sellers. Other than the original U.S. version, there are many replicas, as well as M1’s which have made their way to the U.S. through commercial dealers who bought them off of friendly forces which have retired the rifle, and imported them to the local market. 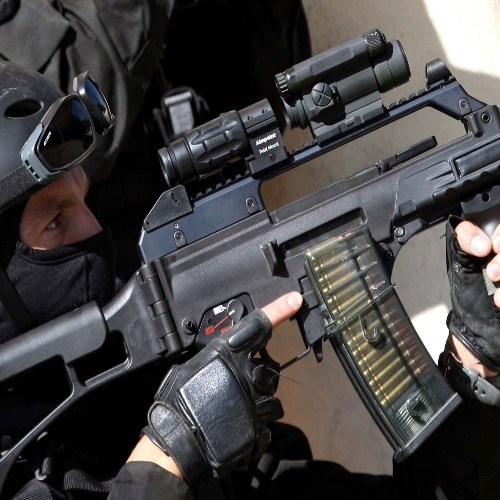 Most collectors will not be satisfied with such rifles, and will opt to pay good money for the authentic M1. Refurbished imports are no match, in a collector’s eyes anyway, to the real deal. Prices in recent years have soared. There seems to be a very high demand for collectables such as the M1, and the prices are reflecting this trend. There are those who are waiting for the market to stop fluctuating and to reach a kind of middle ground, but there is no telling exactly when that will happen. If people keep making demands for these rifles, the prices will go up accordingly. About 5.5 million Garand M1 rifles were made by the U.S. military at different armories over the years. Are they becoming rare? It is debatable, but if we are going solely by the prices, the answer is yes. The Garand Collectors Association is now numbering nearly 20,000 members, which should give you some idea of just how popular this rifle is. Prices for the real thing, an authentic U.S. standard issue M1, range from about $700 to $4000, and more. The rifle is chambered in .30-06, also known as .30 Springfield. Springfield Armories was one of the companies commissioned to produce the M1 for the U.S. Armed Forces, among several others. The.30 refers to the caliber of the cartridge, the -06 refers to the year the ammo was first introduced (1906). In spite of what some may say, do not attempt to just use any ammunition of that caliber. The CMP offers cartridges made to military specs, and while you could never tell precisely what might happen when you are reloading a weapon that old, it is best to be safe than sorry, and part of that is buying quality ammo from someone you trust. A reputable source. There are many posts written in forums all across the internet, where shooters were let down (in the best case scenario) or experienced some very detrimental effects (in the worse scenarios). Remember, with some items, commodities, and consumer goods, you really do get what you pay for. The M2 Ball .30-06 which the CMP offers is not your only source for quality ammo, but it is as good a place to start as any. Their forums are quite informative, and their users are usually eager to share info and drop some knowledge on folks. 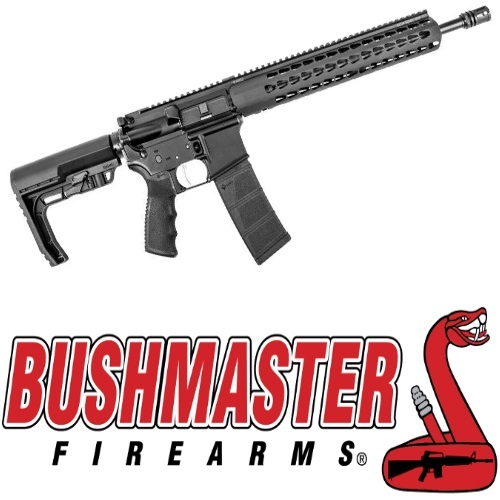 The CMP is dedicated to educating the American public on firearms and airguns of all brands and designs. They work to promote security, responsibility, and competitions of all sorts across the U.S., with a particular emphasis on youth. Training the next generation to handle firearms correctly is paramount, however you choose to look at it. That is part of the reason – FYI – why Switzerland has such success with their firearms policies and practices, and such a low firearm-related death rate. They have a mandatory military service program, which means that every able Swiss male is aware of firearms from a young age, sees firearms at his home, sees them handled and cleaned regularly (be prepared and all), and is also instructed by his family members on them when the time is right. Earlier in 2018, the CMP announced it will be releasing about 100K refurbished and imported M1s for general sale. To acquire an authentic, U.S. Army surplus M1, means you will have to qualify and be seen fit to own one by several parameters. It’s not just a background check. Also, they said there would be an 8-per-customer limit on the foreign imports. When you order an M1 rifle from the CMP – whether domestic or import – it comes with an 8-round mag and an owner’s manual. 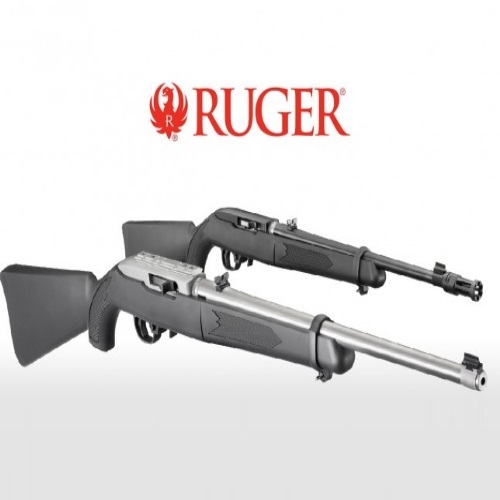 The grades of these rifles vary from ‘Rack’ to ‘Special’, with ‘Field’, and ‘Service’ grades sandwiched in between. There is also the highly sought Sniper and Special Field Grade models, which are chambered in .308 Winchester. All of them have been cleaned, retooled, renewed, tested and retested, and brought up to their best possible condition. The prices differ accordingly, as does the demand, and many items which the CMP offered are now sold out. In one very memorable episode of The Simpsons, a ship’s captain tells Homer that peace is achieved “not with an olive branch, but the bayonet!” Of course, Homer was talking about peas, but that’s not important right now. You know what is? The M1 bayonet, that’s what. In 1943, smack dab in the middle of WWII, the U.S. issued a shortened version of their 16-inch M1905 bayonet, which fit the M1 as well as the M1903 Springfield. The shorter version was designated the M1 bayonet, and was 10 inches long. The handle – in both cases – was 4 inches long. 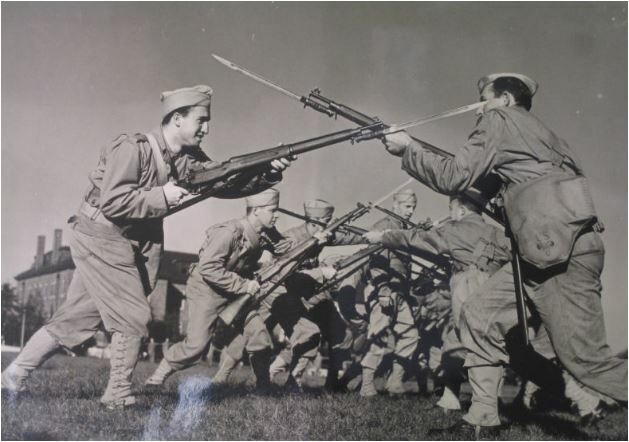 The new, shorter bayonets did well in Europe against enemy forces, but in the Asian theatre it was less effective, due to the Japanese forces’ significantly longer rifle and bayonet. Nowadays, bayonets are sold online, at shops, and trade shows. The prices for authentic bayonets can start at over $100, and – depending on their quality – reach several thousands. Some come with scabbards, some are standalone. The price for foreign productions and replicas is significantly lower, obviously, but the prices vary greatly there, as well. You pay more for higher quality items. Remember, these items are so very old, refurbished or no, so “buyer beware” as the phrase goes. As this post draws to a close, it is important to mention that this rifle – whether government-issued or not – really does represent a lot. The victory of the Allied Forces in WWII, the horrors of the atomic bombs, and the war that tore the world apart – it is all immortalized – kind of – in this rifle. It signifies the triumph of good over evil, of benevolent forces who overtook malevolent ones in a long and hard-fought campaign, and on several fronts. World War II was, without a single shadow of a doubt, the bloodiest and most brutal war that has ever been fought on the planet we call Earth. Sometimes I hear the numbers again, during VE-day or D-day and I still cannot comprehend them. Who can possibly digest such horrors and such losses and such a tragic undertaking which humans engaged in? And yet, as tragic and sad as it is, war is still rampant – as is Holocaust denial, incidentally – and I am sorry to say things are not looking good. The M1 is a hot collector’s item for a reason, and I feel it is more of a metaphysical or psychological reason more than anything. People want to hold the rifle that was carried into battle, as the American GIs went to literally save the world. This is no minor thing, by any stretch of the imagination. I dig the allure, the positive appeal, or owning a part of history which signified some united good against a common and ruthless enemy. It signifies the echoing battle cry of those who charged the beaches, who stormed the outposts and trenches, at great personal risk and peril, and went to war – to an unimaginable hell on earth – for the greater good of mankind. May the memory of our fallen brothers and sisters never be forgotten.